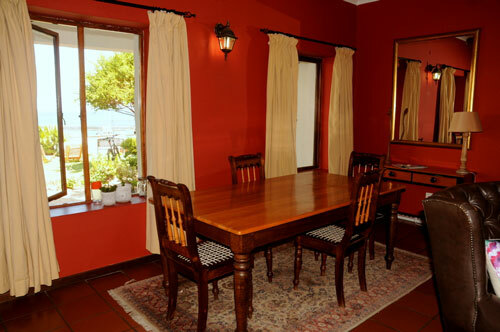 Saxon Lodge offers accommodation for group bookings in Gansbaai. Ideal for strategic meetings, business planning, team building and incentive programmes or groups travelling together, such as film crews. The Lodge sleeps 24 people sharing or 10 singles, with extra beds. Takeover the entire property for private and fully inclusive company activities and meetings. The guest lounge converts easily and comfortably into a meeting venue for 12-18 people.